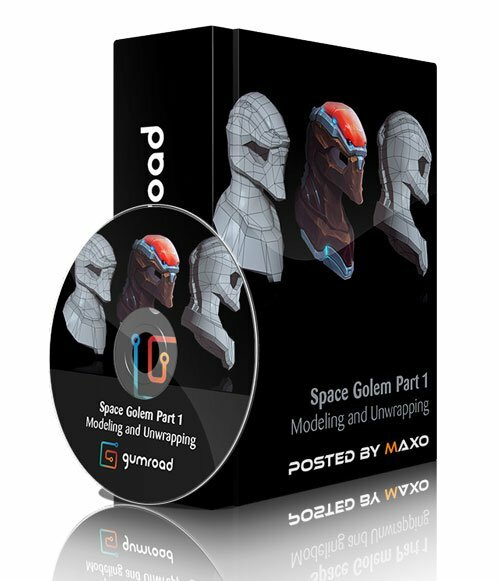 Gumroad - Space Golem Part 1 - Modeling and Unwrapping » 3Ds Portal - CG Resources for Artists! In this tutorial, I will be sharing my approach to modeling and unwrapping the space golem concept above. Though it may seem daunting to model from organic shapes, the tips and tricks that I go over will help you gain confidence for tackling future concepts. This tutorial is designed for artists who have a basic to intermediate understanding of the 3DS Max tools.